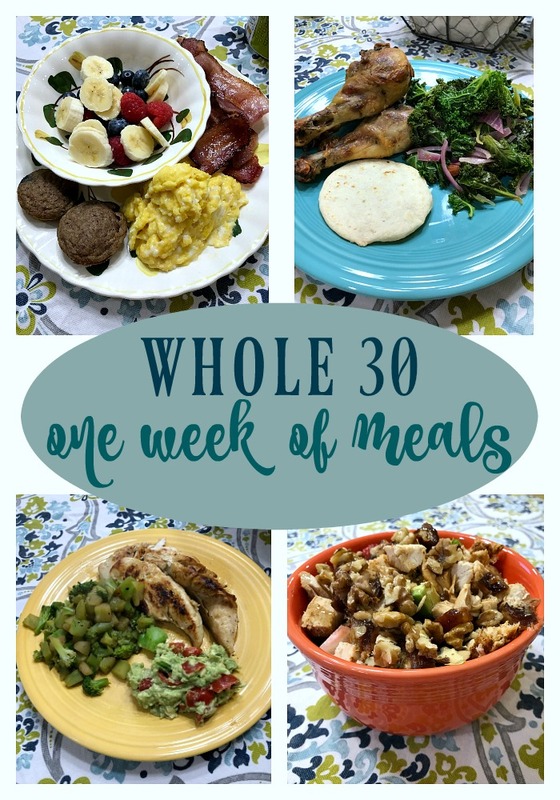 Whole 30 Menu Plan: One Week of Meals! Before we get started, I just want to clear this up – I’m not personally doing Whole 30. I love cheese and bread way too much to even consider it. However, I’m a big fan of people choosing a healthy eating lifestyle that works for and motivates them – and for my sister and her husband, Whole 30 is it! They both had great success doing Whole 30 as a sort of “reset button” for their eating habits this summer. After the 30 days they found themselves lighter, happier and healthier – so much so that they decided to kick off the new year with another round of Whole 30. Her food always looks really delicious, so my sister offered to share a look at what they ate during one week on Whole 30. Hopefully this will be helpful if you’re currently on the plan or even if you’re just considering it. I’m a dairy lover, but these meals sound really delicious! I might be able to handle Whole 30 for a month, but cheese is so tasty to me. LOL! I’m basically doing this now. It’s really not hard once you have the hang of it but this time they requested we drop caffeine for 21 days. Oh heavens…that was hard giving up my coffee! Thank you for sharing. I did Whole 30 last summer. I am considering doing it again, so this post is helpful. The sweet potato meals look particularly good to me! Here’s to a healthy 2018! Yum, your menu looks so delicious and healthy! I feel like I could never do whole 30 – my husband eats enough for two people as it is, and I feel like my grocery budget would get seriously out of control! I’ve had those Aidell’s sausages before, though, they’re really good! Except they’re like almost $6 at my grocery store! Ahh! Whole 30 is definitely more expensive, but my sister does a good job keeping her budget as low as possible. I find Aidell’s sausages marked down at my store – ask your meat department manager what day they mark things down. You might be able to grab them for $3! What a yummy assortment of foods! I’d don’t think I’d ever do Whole 30, but I love the idea of a healthy restart. I should give those meatballs a try since my whole family eats meatballs. We also eat a lot of smoothies.